Most common health problems in Scottish Terriers, plus health care and feeding. If you want to AVOID health problems in your Scottish Terrier, you'll find my health care program very valuable. If your Scottish Terrier already HAS a health problem, I'm sorry to hear that. You should immediately begin my health care program, and you may be able to restore his good health – or at least make him much more comfortable. Let me help! The Scottish Terrier has been deliberately bred to have a deformity called chondrodysplasia (short legs, long back), which is associated with orthopedic problems. For example, loose knee joints (luxating patella) and intervertebral disk disease occur at pretty high rates in Scotties. Several severe blood-clotting diseases occur in Scottish Terriers, which can make injuries or surgeries life-threatening. Epilepsy is an increasing concern in the breed. Bladder cancer is 18 times more likely to occur in Scottish Terriers than in any other breed. Chronic allergies (which cause terribly itchy skin) are very common in all of the terrier breeds. Other serious health issues in Scottish Terriers include heart disease, eye diseases, thyroid disease, and a painful hereditary disease called CMO, where there is excessive bone growth on a young Scottie's jaws. Scotties can inherit an odd neuromuscular disease called Scottie cramp, in which a Scottish Terrier has sudden episodes where he can't walk properly. It can be distressing to watch, but doesn't seem painful. Some health problems are inherited. For example, if both parents of your Scottish Terrier have certificates proving they were tested and cleared of blood-clotting diseases, luxating patella, and CMO, your Scottish Terrier has less risk of developing those conditions. Other health problems can be prevented, or partially prevented, by the ways you raise your dog. 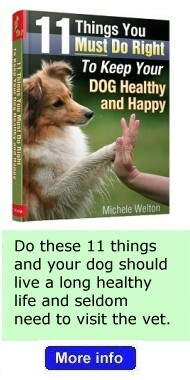 If you're serious about doing everything you can for your Scottish Terrier, my best-selling book, 11 Things You Must Do Right To Keep Your Dog Healthy and Happy, shows you how to raise your Scottish Terrier puppy (or adult dog) in all the right ways. 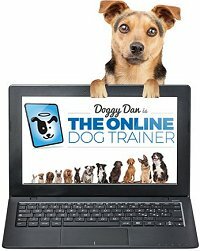 It will help you be your dog's health care champion! 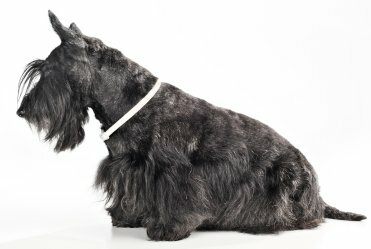 Read my advice on daily health care so your Scottish Terrier lives a long, healthy life and seldom needs to see the vet. How many vaccinations does your Scottish Terrier puppy really need? Does your adult Scottish Terrier need yearly booster shots? The vaccination guidelines have changed! Find out what some vets aren't telling you. Blood-clotting diseases come in all shapes and severities. Unfortunately, the severest form of von Willebrand's disease AND the severest form of hemophilia (hemophilia B) both occur in Scotties. Epilepsy (seizures) is an increasing concern in Scottish Terriers. Tumors and cancers are another problem in the breed. Specifically, bladder cancer (transitional cell carcinoma) is 18 times more common in Scottish Terrier than in any other breed. Other cancers also occur in Scotties, such as lymphosarcoma, melanoma, mast cell tumors, hemangiosarcoma, and squamous cell carcinoma. Endocrine system diseases are a concern, especially Cushing's disease and hypothyroidism. According to the Michigan State University Thyroid Database, up to 12% of Scottish Terriers have low thyroid levels. Addison's disease and diabetes occur occasionally. Allergies (which cause itchy skin and often lead to pyoderma) are very common in all terriers. More serious skin diseases, demodectic mange and sebaceous adenitis, have been reported in Scotties. Orthopedic diseases should be expected because of the breed's deformed chondrodysplastic build. Luxating patella (loose knee joints) occur at a pretty high rate in Scottish Terrier, along with intervertebral disk disease. Other orthopedic diseases include Legg-Calve-Perthes disease, craniomandibular osteopathy (CMO), and Wobbler's syndrome. Eye diseases include cataracts and lens luxation. Other health issues in Scottish Terriers include heart disease (pulmonic stenosis), liver shunt, cerebellar ataxia, myasthenia gravis, cystinuria, and inherited deafness. Pulmonary fibrosis is a progressive lung disease in Scotties, where the lungs become chronically inflamed and scarred and breathing becomes labored. It appears around 9 years old and the prognosis is very poor. Let's talk about Scottie Cramp. The most common inherited disease in Scottish Terriers is an odd neuromuscular disease called Scottie cramp, in which the signal from the brain that tells your Scottie how to walk or run gets "garbled" on its way to the muscles. The reason isn't known for sure, but one theory is that affected dogs may not have enough of some chemical compound (the best guess is serotonin) that acts as a neurotransmitter. When messages from the brain to the legs become garbled, the result is bizarre spastic movements of the legs. In an affected Scottie, you'll see the first symptoms at 2-18 months old when a puppy who gets excited suddenly begins throwing his front legs to the side, instead of straight forward. He may arch his back and launch into a high goose-step. Or he may find himself completely incapacitated because his leg muscles alternately stretch and flex, as though he's dancing. This is not a seizure disorder, nor does it seem to be painful, i.e. your puppy's muscles don't really "cramp" the way our own muscles cramp. The puppy just temporarily loses the ability to coordinate his movements because the signals from his brain to his muscles are being scrambled enroute. When the excitement is over or when he stops trying to gallop around, he returns to normal very quickly. The severity of symptoms varies widely from dog to dog, as does the amount and type of stimulation that brings on an episode. There's no cure for Scottie cramp, but many affected dogs actually learn to anticipate the onset of symptoms and stop running or playing before they occur. By the time such a puppy is grown, he may never exhibit any signs at all. Similarly, an affected Scottie with a laid-back personality is less likely to exhibit symptoms than a more hyper dog. So Scottie cramp, although it's distressing to watch and certainly no fun for your dog to experience, isn't that serious in the grand scheme of things.